Update: At the official COP16 side-event, co-convened by the Foundation on 04 December 2010 in Cancun, Mary Robinson released a Statement on Women’s Leadership on Climate Justice [2 pages, 190kb]. From 29 November to 10 December, environment officials and ministers will meet in Cancún in Mexico for the UN climate change conference to continue efforts towards an international deal on cutting carbon emissions. They will work on a global agreement to succeed the Kyoto protocol – which came into force in 2005 and commits rich countries to cut their emissions by 2012 – after the talks at Copenhagen last year failed to replace it. The Foundation has received confirmation from the UNFCCC of our official side-event: “Women’s Leadership on Climate Change Justice and the Grassroots Perspective”. It will take place on Saturday 4th December from 20:15 — 21:45. This event is being jointly organised by the Foundation, the Green Belt Movement; Nobel Women’s Initiative; Realizing Rights: The Ethical Globalization Initiative and the Climate Wise Women. At this event, Mary Robinson will be joined by Constance Okollet, Chairperson of Osukuru United Women’s Network, Uganda and founding member of Climate Wise Women, and Francesca de Gasparis, Director of the Green Belt Movement – Europe to discuss strategies for women’s participation in decision-making on climate change. Panellists and respondents will explore issues including impacts, adaptation, lessons from the grassroots on REDD+, climate justice and local solutions. Moderator: Lorena Aguilar of the IUCN, Costa Rica. Side events and Exhibits were established by the UNFCCC as a forum for duly admitted observer organizations to highlight diverse climate change issues in a different environment from the negotiation process itself. They are usually 1.5 hours in duration, where various Parties and organizations present their work, often engaging the audience in a Q&A session. 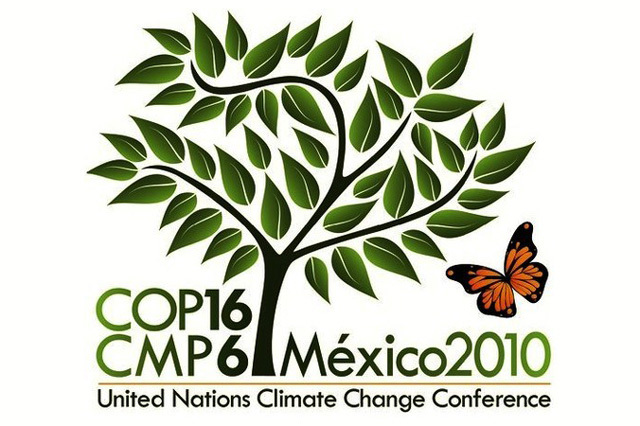 COP16 is the official name of the Cancún summit, which is the 16th Conference of the Parties (COP) under the United Nations Framework Convention on Climate Change (UNFCCC). The COP is the highest body of the UNFCCC and comprises environment ministers from 192 countries who have met once a year since the 1992 Earth summit in Rio de Janeiro.